This week’s photo was taken by Daili Perez who was on a visit. There is, of course, a story behind the photo. 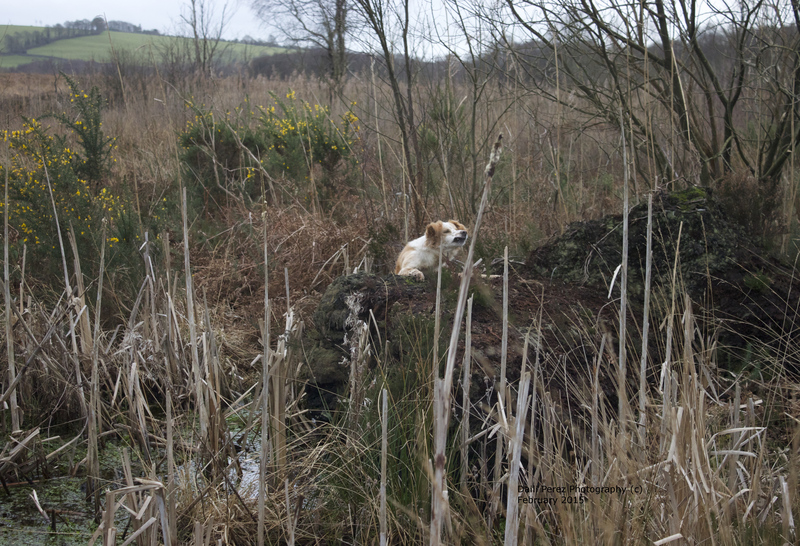 Harry took off from solid ground, jumping over the bog pool, completely mis-judged the height of the log and whacked himself straight into it….. you can see the pain in his face!